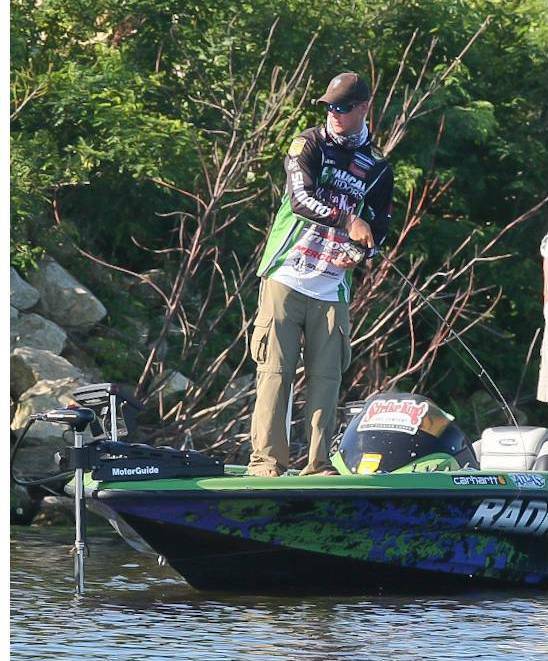 The fishing world is accustomed to seeing the VanDam name at the top of the leaderboard. 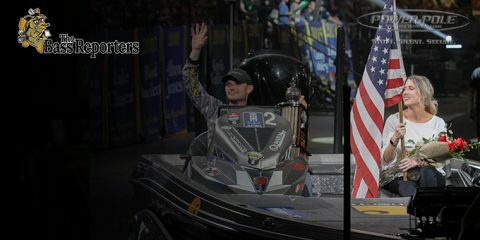 But, while Kevin VanDam has long been the most dominant force in bass fishing, his nephew, Jonathon has been working to build his championship reputation. As we saw last weekend, that reputation earned a big notch when JVD grabbed the spotlight from the Elite Series field with a victory in the Green Bay Challenge in Wisconsin. 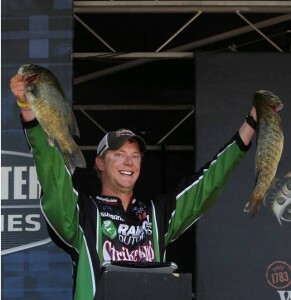 VanDam at first like he would work his way into a strong finish when he opened the event with a 17-pound, 11-ounce limit of smallmouth that found him in seventh place. When a second day limit of 17 pounds, 7 ounces pushed him to third place, the momentum began to build. His third day performance was a marked increase, and his 20-pound, 12-ounce day moved him into second place. He experienced some difficulties with lost fish on the final day, but was able to overcome them and post the heaviest bag of the event; a 23-pound, 4-ounce limit that included the Carhartt Big Bass; a 5-pound, 11-ounce smallmouth. His 79 pounds, 2 ounces was enough to best his friend and day three leader Brandon Palaniuk by nearly three pounds. 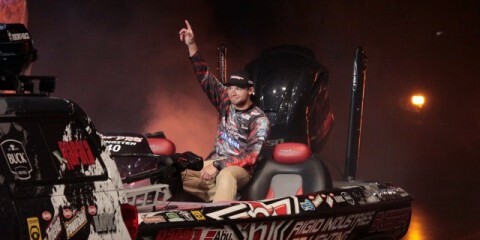 The win netted him $103,000 and more importantly; a trip to the 2013 Bassmaster Classic at Grand Lake of the Cherokees in Oklahoma. Smallmouth bass can be some of the most difficult fish to lock down on during a tournament. Often, when an angler locates a school of smallmouth that they believe to be winning fish, the bass tend to move and become ghosts overnight. This occurrence makes betting on smallmouth one of the largest gambles an angler can make in any event. 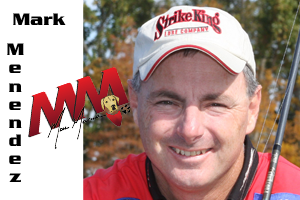 With that in mind, we wanted to take a look at how VanDam secured his victory, and glean what we could from his winning program and ask him what he was willing to share to help us become better smallmouth anglers. That was precisely what occurred at the Green Bay event. VanDam spent much of his practice period searching for visible bass in two to eight feet of water. His search revealed several areas that held quality bass, but being able to capitalize on their presence was another thing altogether. His approach meant that he would use his power fishing techniques in the morning when the wind was blowing, then turn to his finesse tactics as the wind slicked off. His choices included a 1/2-ounce Strike King Tour Grade painted blade spinnerbait and a four-inch Strike King Dream Shot worm. His mornings were spent fan casting the spinnerbait on shallow windblown points and flats, and in the afternoon he would sightfish for smallmouth he could see cruising the area. He said that he usually prefers to burn a spinnerbait just under the surface for smallmouth, but he found that he had to slow the lure down, while keeping it above their heads to elicit strikes. 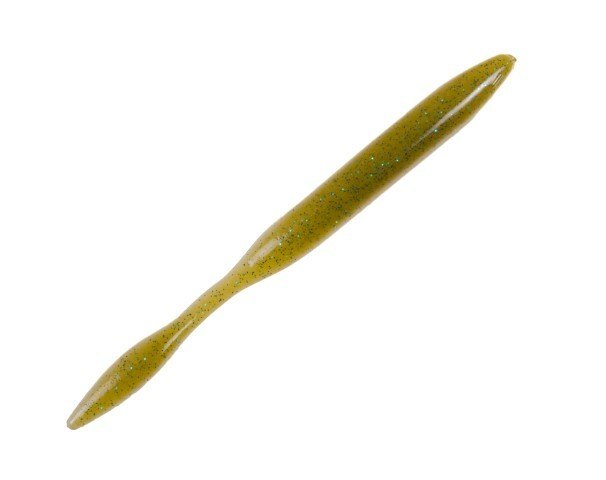 As far as the dropshot bite, VanDam said that he had to grind out bites most days. He reported having to buckle down and get few of the right bites as opposed to weeding through multiple bass each day. His spinnerbait gear consisted of a 7’1″ medium-heavy Shimano Cumulus rod and 7.1:1 Shimano Core 50MGreel spoiled with 14-pound-test fluorocarbon line. He used a GLoomis NRX 822S DSR dropshot rod and Shimano Sustain 2500 reel filled with 20-pound-test Power Pro Super Slick braid tied with an 8-pound-test fluorocarbon leader. 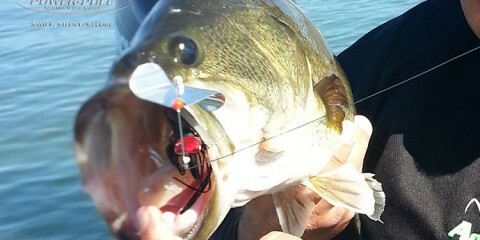 He rigged his Dream Shot worm on a 1/0 TK180 TroKar Light Wire Finesse Hook and an Eagle Claw dropshot weight. 2015 Classic Headed to Lake Hartwell, Greenville S.C.